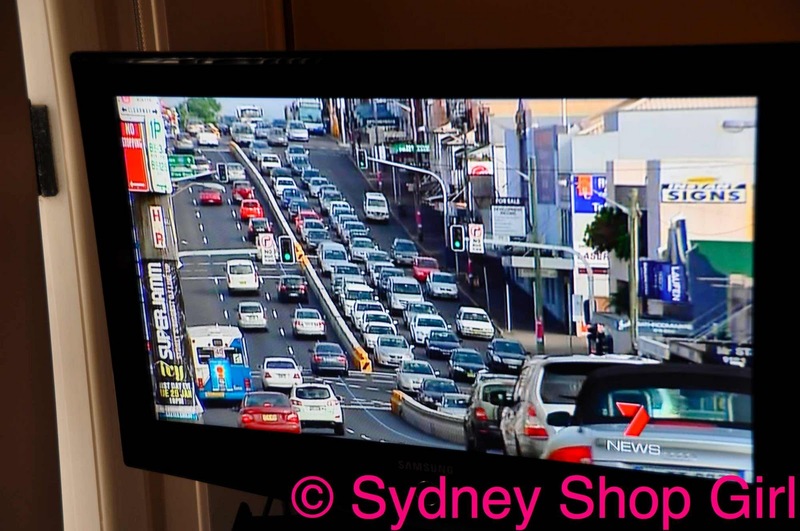 Sydney Shop Girl: The Sun Always Rises. Life Went On Without Me. While I've been caught up in a my own little world of nervous tension, I was amazed to discover that the world really did go on without my being entirely in the here and now. I've been around but I've been so wound up about the new job, my mind found itself in a world of worst possible case scenarios and hypotheticals. Needless to say, my first real day was not as bad as what I feared. 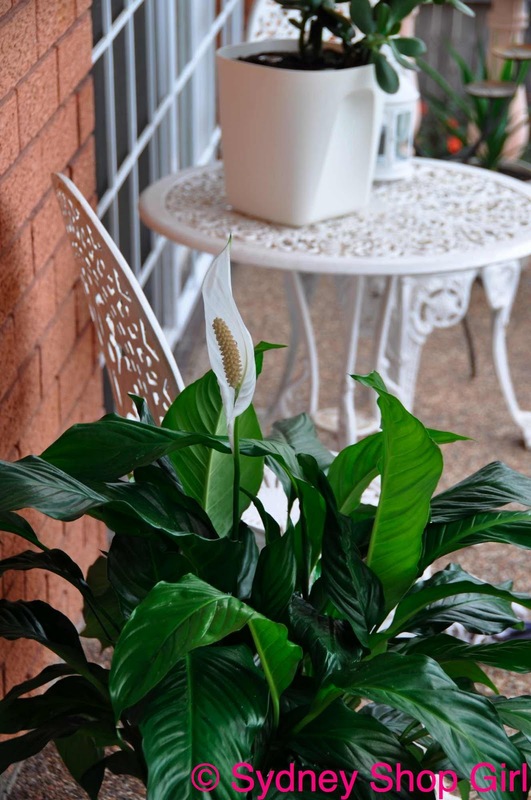 The sun rose this morning and the She Shed pot plants were still their reassuring green selves, fluttering in the breeze. 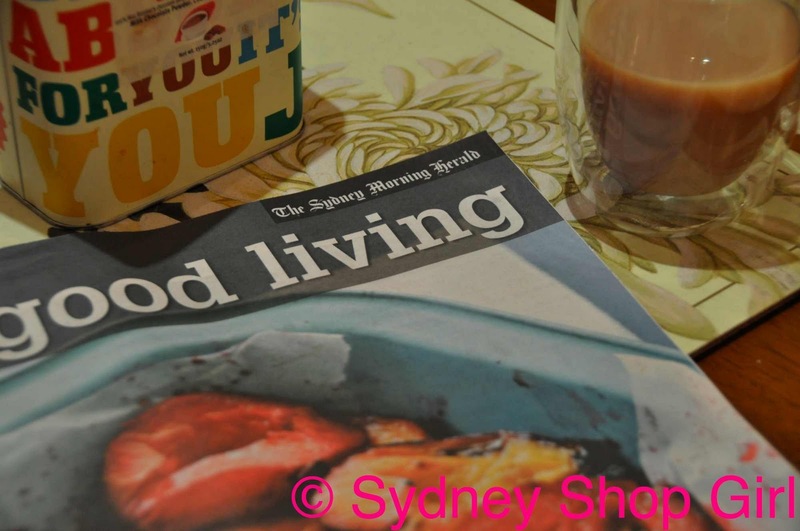 Good Living returned in its full pull out form in the SMH this morning. The biggest story was that a new mega Chinese restuarant is opening in China Town. It's called The Eight and will branch out into Modern Chinese. I hear pate is involved and uber chic decor. I think The Eight is calling my name for Chinese New Year this year. Oh and celebrity land has really gone nuts in the last 24 hours or so. The Golden Globes. The Dress and The Look for me was Natalie Portman. Mr SSG highly recommends the NY Times gown report for those interested in GG looks. In fact, it was Mr SSG who told me to seek out photos of Natalie Portman. That rose detail and her matching lipstick. That baby bump. I think the dress is Viktor & Rolfe. If I were Natalie and I was having a boy, I'd call him Viktor Rolfe. Did you hear about Nicole and Keith? They have a new daughter, Faith Margaret from their 'gestational carrier'. A disturbing choice of words but it is very happy news. 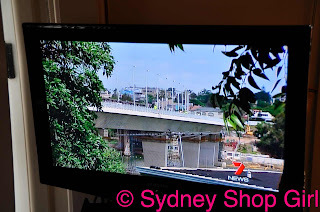 My little corner of Sydney made it to the Channel 7 News! Not that I was personally involved but that's my duplicated Iron Cove Bridge. Above my outdoor pool (The Drummoyne Olympic Pool). Nothing glamorous, mind you. No stunning gowns in sight. We were the talk of Sydney because of the ridiculous peak hour traffic and how there is now a concrete 'zipper' down the middle of the road that allows lanes to be created and rerouted according the traffic volume. Can't imagine how a zipper is going to help things but there you have it. Clothes have been less than exciting at the moment. Just concentrating on getting out the door on time and arriving in one piece at work after trekking across the industrial wasteland that is the current staff car park. 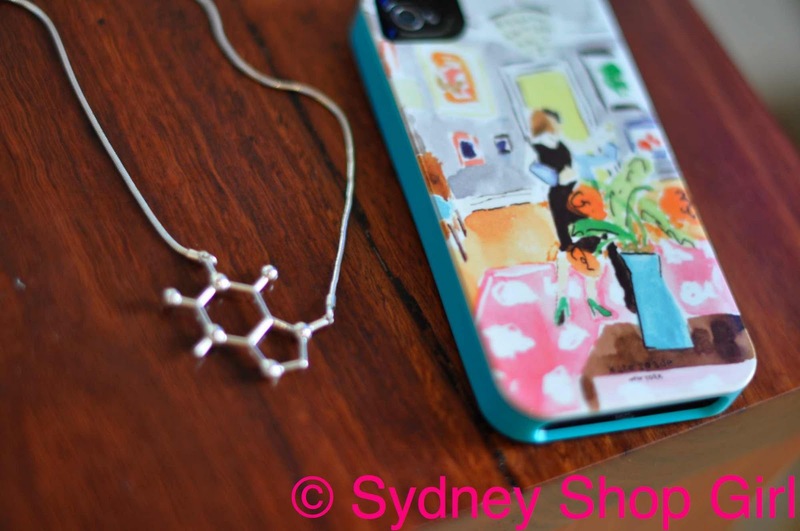 My daily dose of quirk was provided instead by my etsy caffeine molecule necklace and my Kate Spade iPhone 4 cover. I am coveting (covetting ?sp) your mobile cover. I hope you had a brilliant first day. I too am loving Natalie Portman's glam pregnancy look. gestational carrier? Isn't that surrogate? The first day is never as bad as we imagine is it? I don't know why I never remember this but I just don't seem to! I start a new job in a few weeks and am already dreading it. But well done on surviving (and thriving I am sure)! Natalie Portman is a class act. So glad the first day went well SSG. It sure is Viktor and Rolf!! Gorgeous dress. When is Nigella going to be here? Here's to more good days at work, the first day is always the hardest. I've been at the same place for 8 years, first days are a distant memory. If I did change jobs though I would be DYING of nerves. I am glad I discovered your blog. I have always loved your posts on the VF (I was on the beauty/makeup pages in the early 2000's). Thanks for putting in the effort and sharing snippets of you life with us. I would love to read about your experience re:moving to Sydney .... love what you are doing, keep it up! nicole's a bit posh to use the word surrogate i see!! Love the Kate Spade iphone case - my hot pink and white polka dot Kate Spade iphone case is one of my favourite purchases. You'll love the Kate Spade stores in the US, if you haven't already been to one!